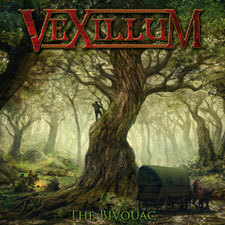 Italian folk power metal band VEXILLUM has released their second album "The Bivouac" through Limb Music on September 21st. The band was founded in Pisa in 2004 by Michael Gasparri on guitar under the name of "SHADOW VEXILLUM", and was followed by several line-up changes before they became a stable group in 2005. VEXILLUM, the name for the legionary banner of the Roman army which, carried before the troops, proudly bore the legion's name, will also surely lead the field with this album which bears their realisation of Heavy Metal with an unmistakable stamp of their own. Compared with its predecessor, the musical advancement of "The Bivouac" is enormous and the band's concentrated work on its own identity is beginning to bear fruit. The album is an absolute must-have for fans of the genre. The tremendous production by the band, and the mastering by R.D. Liapakis & C. Schmid (Mystic Prophecy, Devils Train, Orden Ogan) has brought out the quality of these speed tracks even more, making the eleven songs truly a metallic dream. 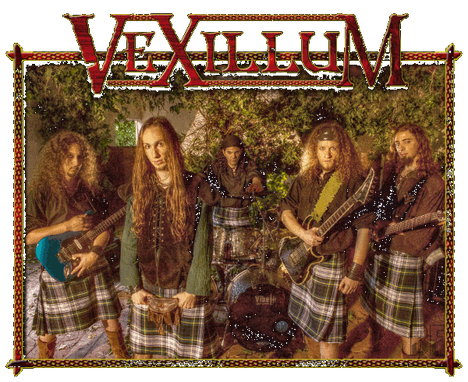 VEXILLUM's diary already shows two tours confirmed for 2013.